Dating is a pretty risky game, and finding someone to marry? Even more. It's a long process and by the end of it, feels like you've come out of a battle. When my cousin turned of "marriageable" age, her parents informed her that it was time to start looking for a good match for her. It sounded like she'd be getting married by the end of the year, because how difficult was it to find a life partner? Not at all! Boy were we wrong. The whole process dragged on for almost two years until she found someone she genuinely liked, was compatible with and also had a corporate job like her. Betterhalf.ai aims to evolve the rudimentary and tedious process of matchmaking through Artificial Intelligence. The website uses Artificial Intelligence to find the "perfect" match for you, based on a number of parameters. It makes sure to find people who are truly compatible with you in every manner. The best part? The website allows only professionals who genuinely intend to get married. So, there won't be any creepy randos contacting you just for the sake of fun. 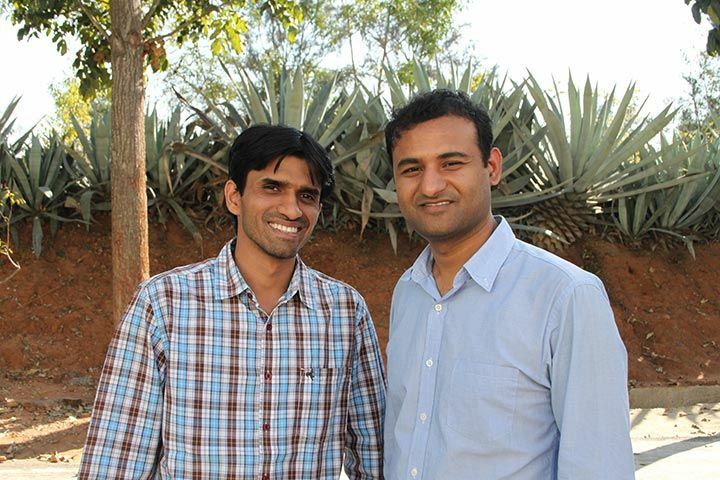 The website is the brainchild of MIT USA alumni Pawan Gupta and Rahul Namdev. The engineers came up with the idea after they themselves got involved in the affair of finding partners for marriage. They realised that everyone talks about the final step that is finding someone to marry, but no one ever talks about the gruelling process that comes before that. 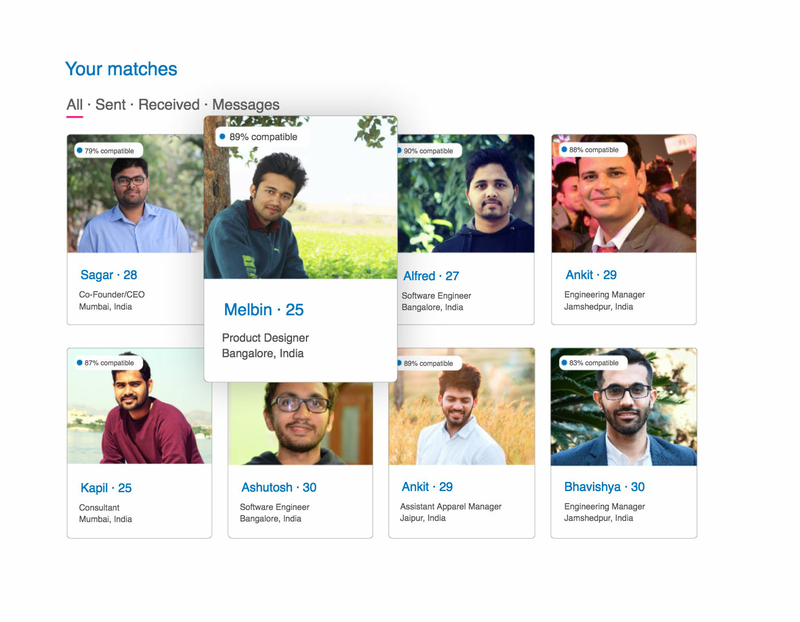 So, they decided to make it easier for other people to find suitable matches with the help of machine learning. The company caters to only professionals who are looking for their partners. The website asks users to link their LinkedIn profiles, Facebook, phone number and government ID to their profiles so that it can verify that all information provided is authentic. You have to provide your work details, where you work, your work email, your income. Further, you'll be asked about your preferences, such as caste, food preference, age-range and more. Users are asked to rate their personalities on a scale from 'Not at all' to 'Very well'. You'll be asked personality-based questions like how romantic you are, how kind-hearted you are, how much of a fitness-freak you are etc. Yes, the website means business; it'll cover each and every aspect required to find the perfect match for you. You will then be shown matches with the overall information of their compatibility with you, based on your personality traits and other preferences. They have collected data from actual married couples to find out what personality traits match the best. How do we know that the profiles are genuine? First off, the website requires authentic verification like linking your LinkedIn account and Government ID. 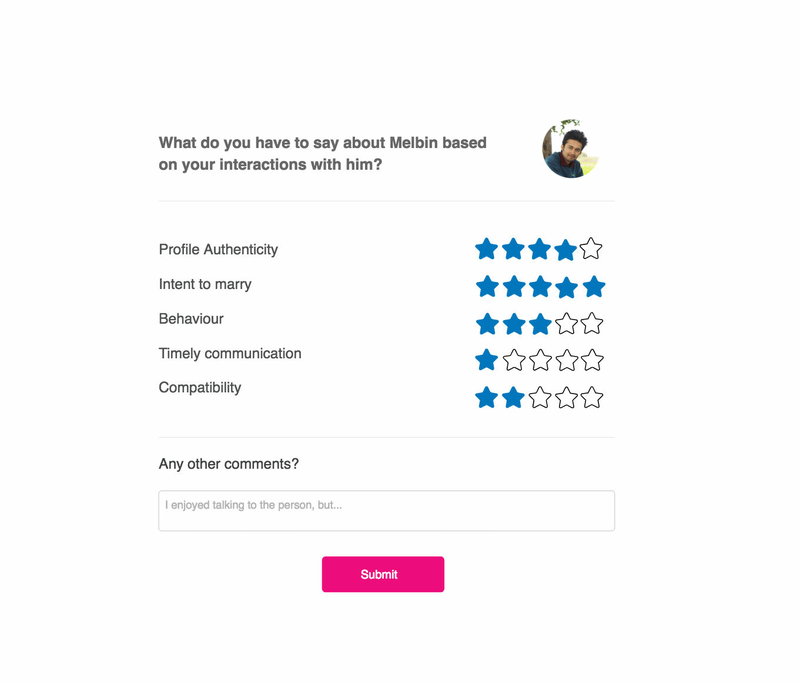 Then, the website has a feature called 'Private Rating' which allows you to rate a person after you've interacted with them. You can rate them on parameters like their profile authenticity, behaviour and your compatibility with them. This helps the website dismiss profiles which are not found appropriate to be on the platform according to other users. Users who you think are not on the platform with a genuine interest to marry won't be entertained by the website if you give them low ratings. How is it different from other dating/matrimonial sites? While other match-making sites let you do all the figuring out after you swipe right or accept someone's request to connect, this website does all the work for you beforehand. The website tells you which areas you're most compatible in and shows you the overall compatibility with a person based on your personalities and preferences, all with the help of AI technology. Also, the website makes sure it only has working professionals as its users, so there won't be any hassle of dealing with fake IDs, or creepy people who are just there for the fun of it. Although the process of setting up your profile might seem a little long, but it'll be worth it in the end. Go to betterhalf.ai and get started with the easy breezy process of finding a life partner. The first month of membership is free, however, you will have to pay membership fees after that (which are Rs 5,999 for 3 months, Rs 9,999 for 6 months and Rs 15,999 for 12 months). So, forget about all the hassle and ask your parents to stop worrying because this website will find the "perfect" match for you.